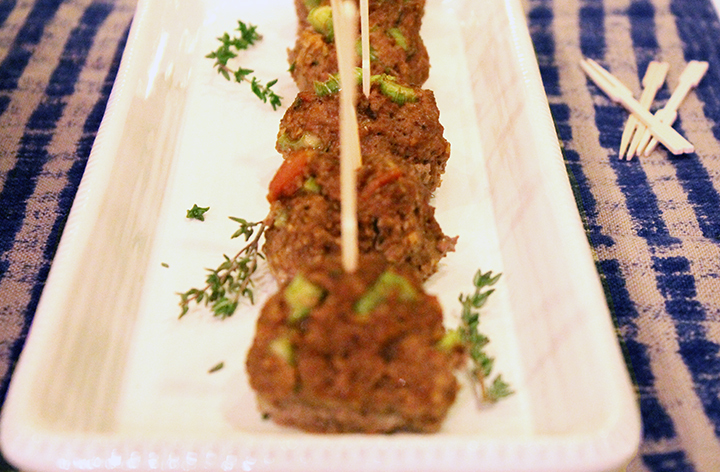 Mini Bison-Bacon Meatballs are perfect for your New Year’s Eve celebrations. Wait, who am I kidding? 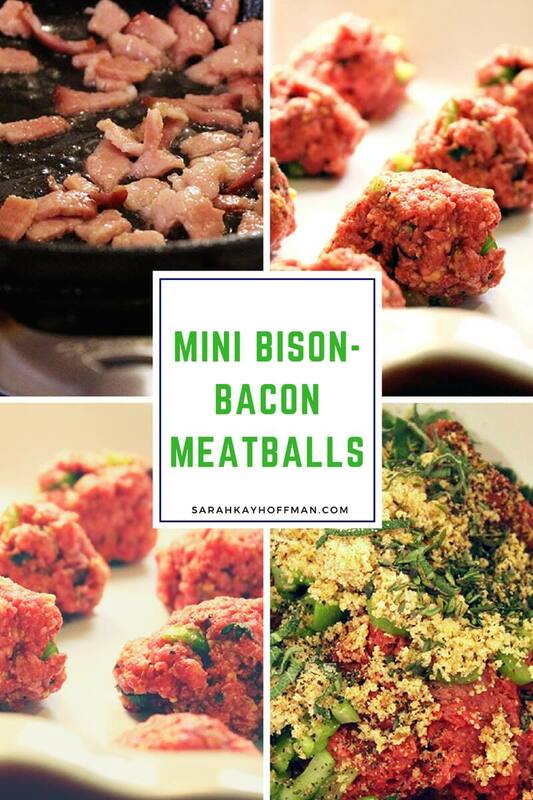 Mini Bison-Bacon Meatballs are perfect for any occasion. 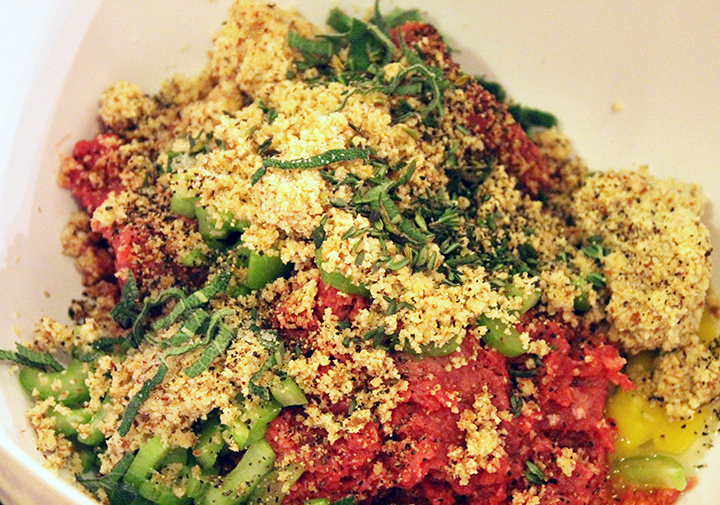 My meatballs are filled with unprocessed ingredients. This recipe was included in my 2013 Holiday e-book, which is why you might recognize it. No need for any more chatter. Just dig in. 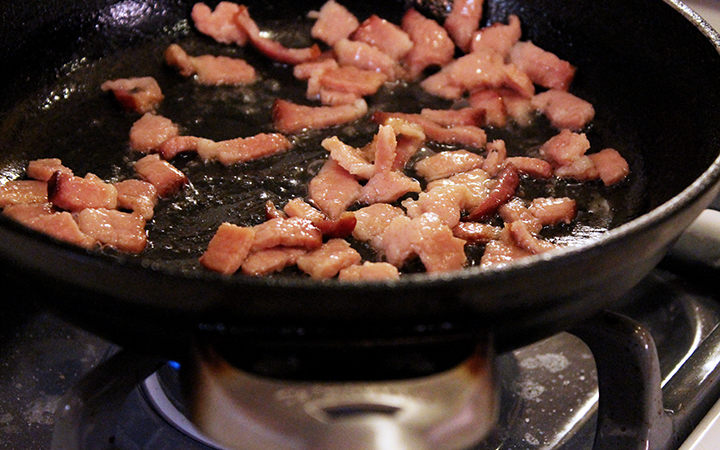 In a large bowl place all ingredients except for the bacon; set aside. Add the bacon to complete mixture and mix by hand once bacon has cooled a little. Form into mini meatballs. Place in your baking dish, and bake for about 30 minutes. 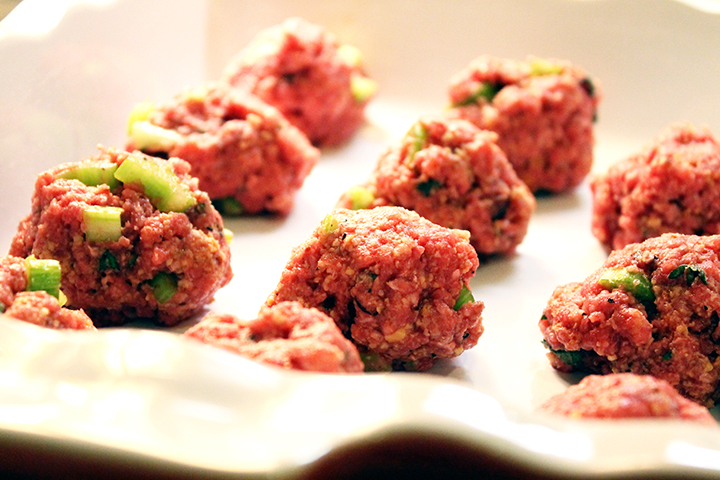 Once they have cooled a little, poke them with an appetizer pick and serve. 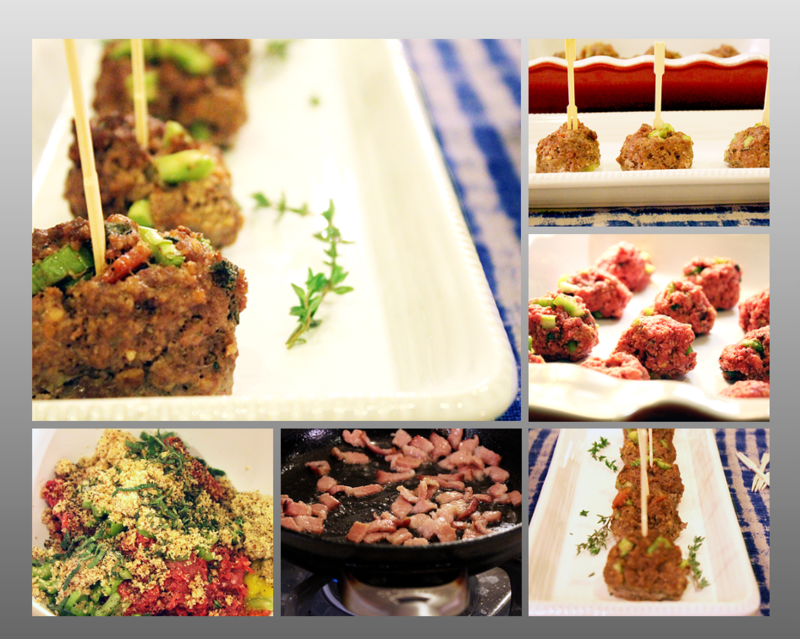 When I make these meatballs, I use the leftover almond meal “pulp” from my Vanilla-Mint Almond Milk recipe. You’ll notice in the video that there is a lot of leftover pulp, and I always choose to keep and freeze this pulp until I need it for recipes like this. 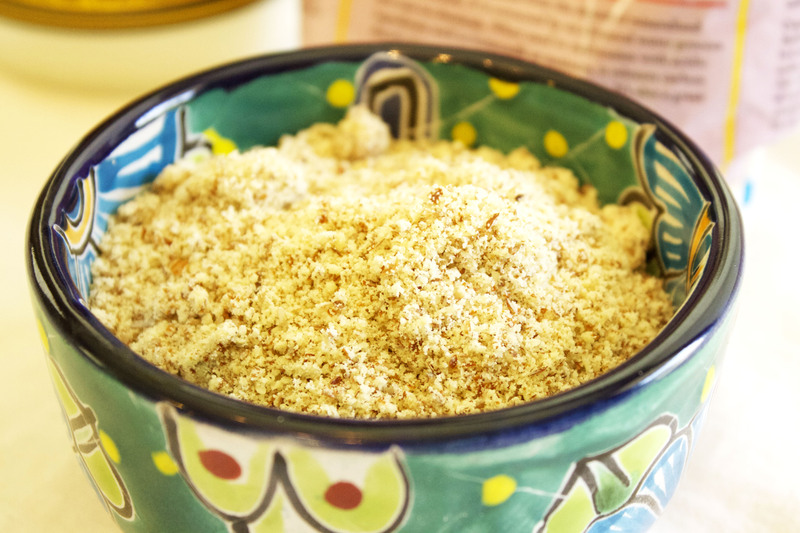 You can also sub in hazelnut pulp or any other nut you might use to make homemade nut milk. Makes about 16 mini meatballs. I have known Tess for quite some time now, but even if she were not a personal friend, I would still be here telling you about how I adore her cookbooks and (now) her brand new app, The Blender Girl Smoothies App. 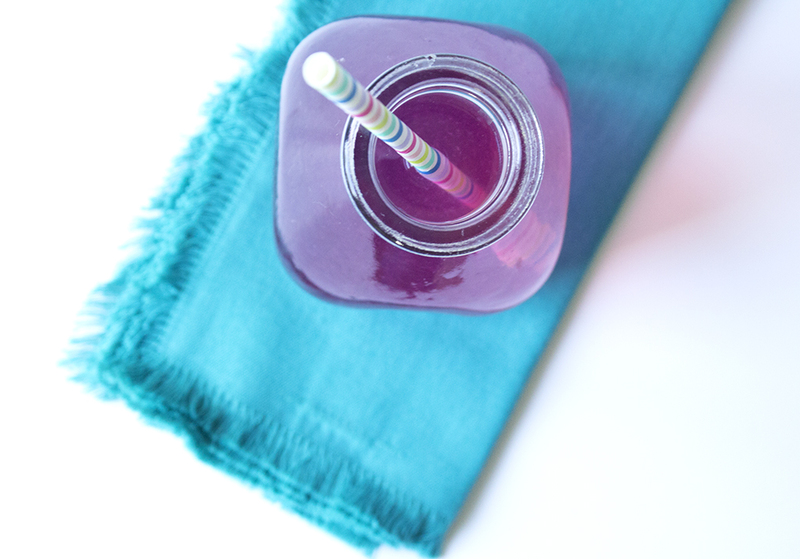 The Blender Girl and her healthy, blender-centric recipes have taken the world by storm— and in this comprehensive smoothie-making guide, she takes smoothies to the next level and helps you blast your way to good health and blended bliss. One hundred creative and delicious smoothie recipes each contain three additional boosters (like chia seeds, ginger, or wheatgrass) that ramp up the flavor, nutrient value, or both. 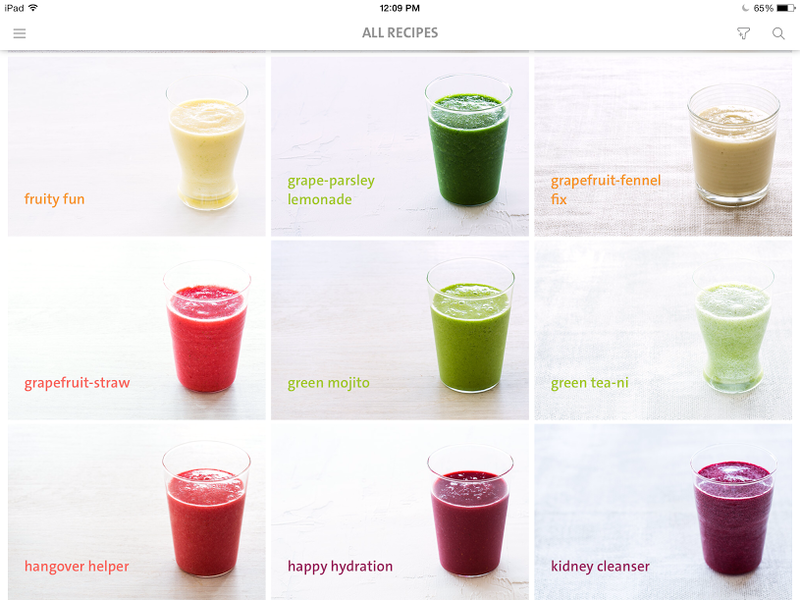 And the unique search function lets you punch in what you feel (happy, sluggish, wired), need (a detox, to lose weight, to chill out), and crave (light and fruity, clean and green, an exotic ride) to find the right smoothie every day. 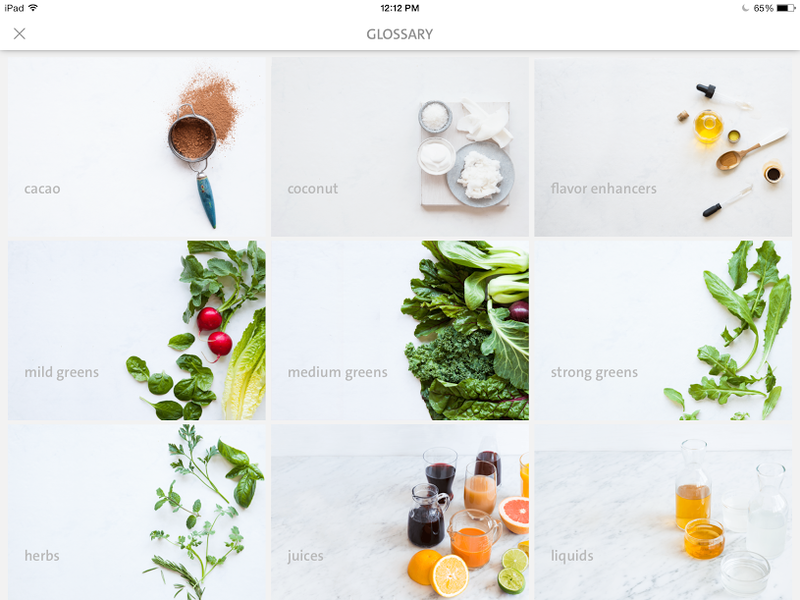 Featuring gorgeous photographs of every recipe, an extensive ingredient glossary, shopping lists, blender tips, both Imperial and metric measurements, and other handy tips and tricks, this app makes it fun and easy to find your perfect blend. 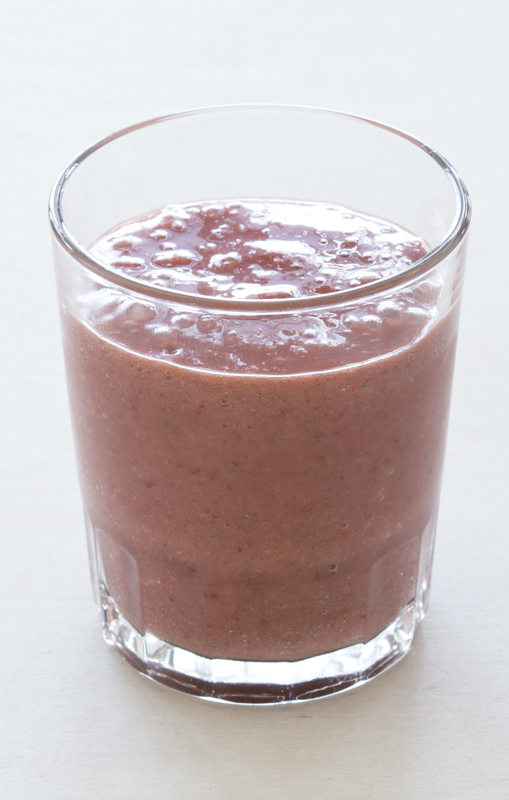 70 Delicious Smoothie Recipes: Plus, one additional smoothie recipe released weekly for a total of 100 recipes. 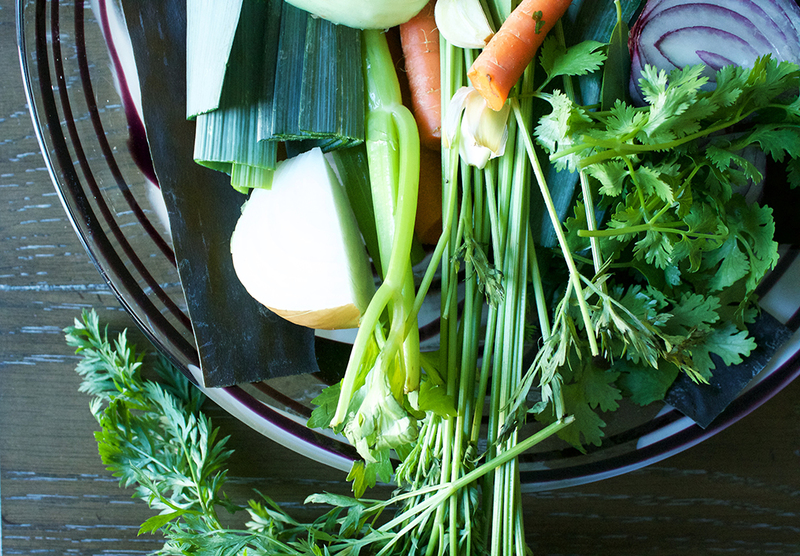 Comprehensive Glossary: Expanded information on the nutritional benefits of the recipes, including tips on selecting, storing, and incorporating ingredients—along with labeled photos– help you create your own delicious blends. Okay, okay….now for the recipe! I wanted to share something pomegranate-y (<- I know that’s not a word, but work with me here) since the holidays are looming, and pomegranates are in season! Gut note: You might not be able to do the cayenne and/or red bell pepper. Do what works best for you! 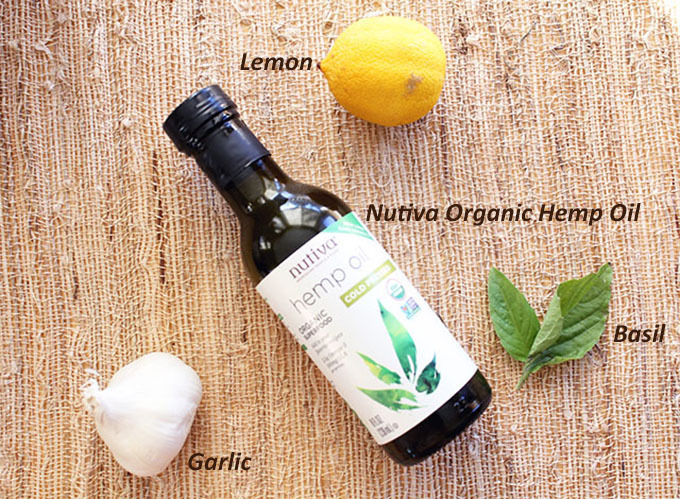 Ready for this Lemon Garlic Basil Spaghetti Squash featuring Nutiva Organic Hemp today? One of my most popular pins to date has been repinned almost 1,500 times. 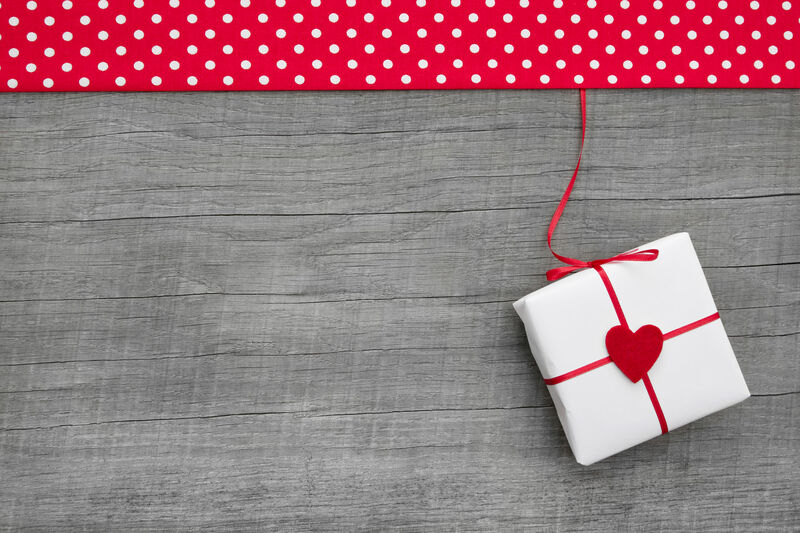 It doesn’t involve chocolate, cake, peanut butter or ice cream (seriously, who are these people, right?!). But it does involve fall and for that, I smile. Just let it be fall. All. Year. Long. 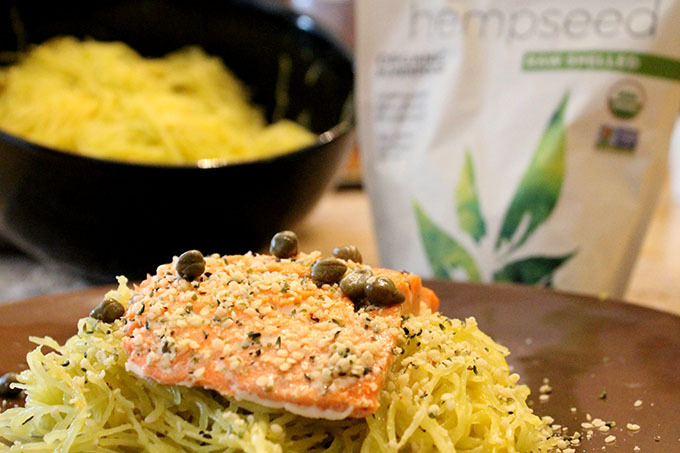 Fall is my favorite, so I decided to re-create the popular Lemon-Lime Cilantro Spaghetti Squash and superfood-it-up with hempseed oil and hemp seeds. 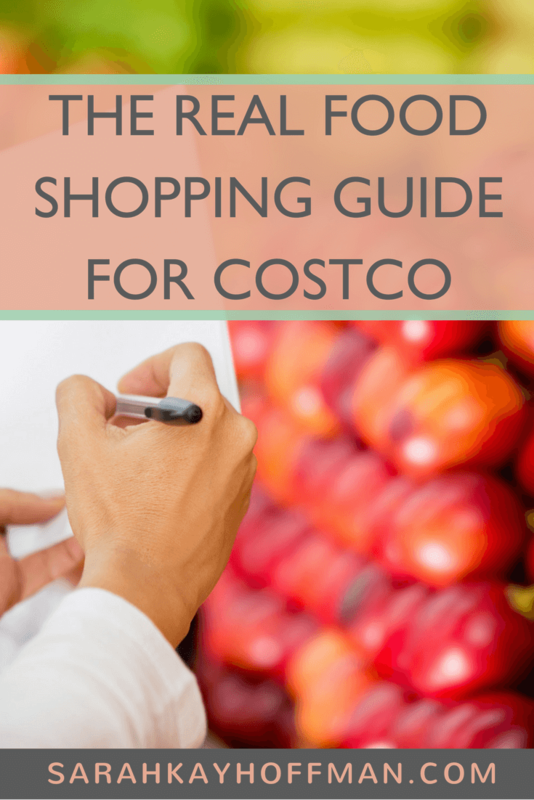 Both are a part of my new daily routine, and after Ryan loved the Hemp Kale Chips, I knew this recipe must be upgraded – stat! But let’s all be honest here, no matter how good something is for us, if it doesn’t taste good, we are less likely to eat it. 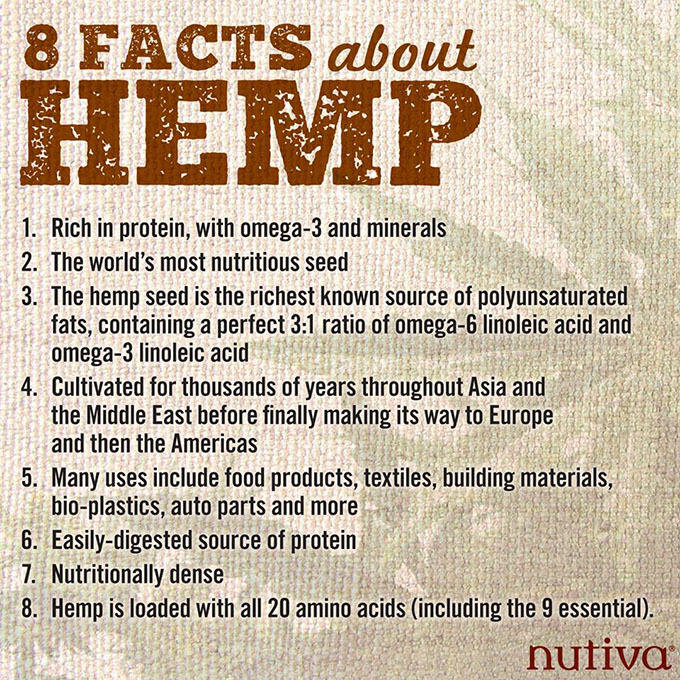 I cannot make specific claims about anything, but as part of my Perioral Dermatitis healing, I did consume hemp internally and the hempseed oil externally on my face (whole blog post about the healing soon)! So, I’m just sayin’….. When my mom was here visiting, I made her this meal and turned a new fan. 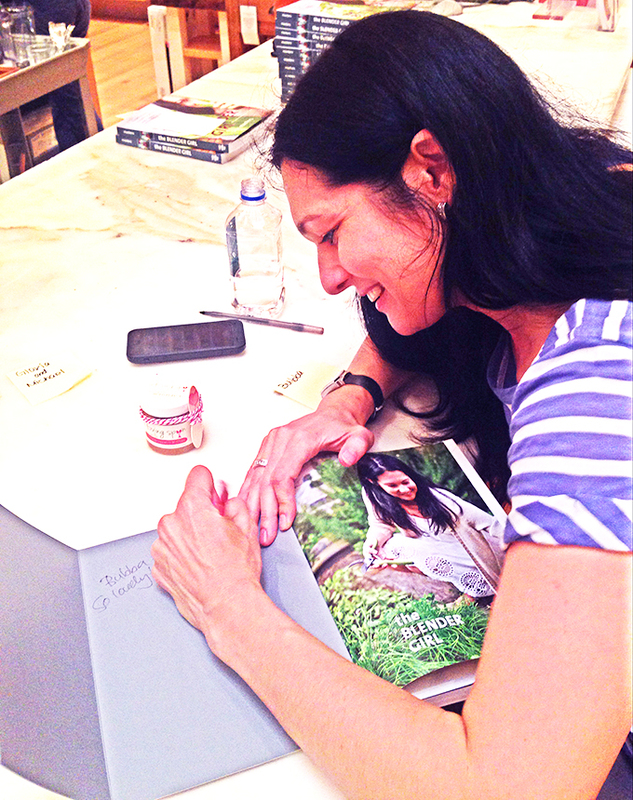 She mentioned that upon returning back home to the homeskillet, she would be ordering hemp online. Good mama! Now it’s your turn. Go, be, do, hemp, make. p.s. 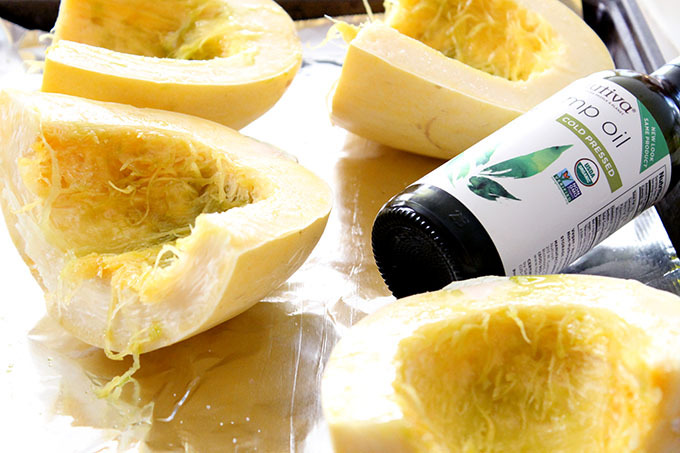 Make your life easier and grab The Ultimate Guide on Cooking Spaghetti Squash. 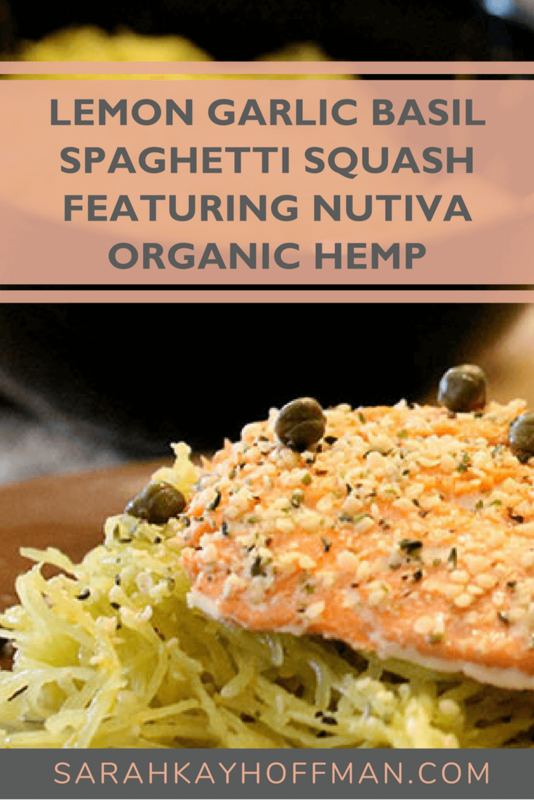 Click HERE to save the Lemon Garlic Basil Spaghetti Squash featuring Nutiva Organic Hemp recipe for later. Cover an oven safe pan with tin foil. 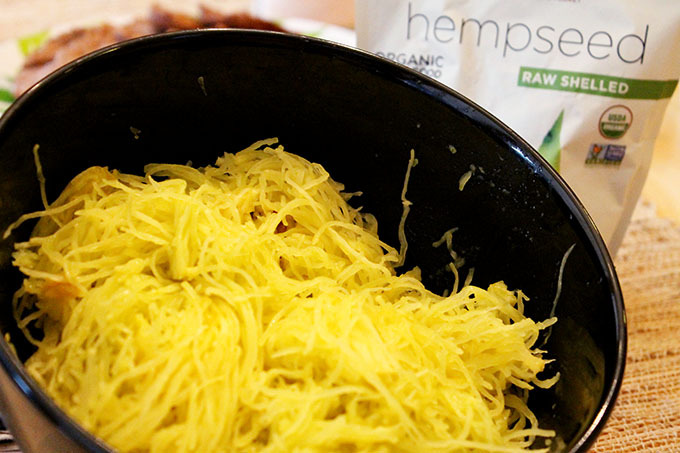 Place spaghetti squash on tin foil and brush with hemp oil and lightly sprinkle with a little sea salt. 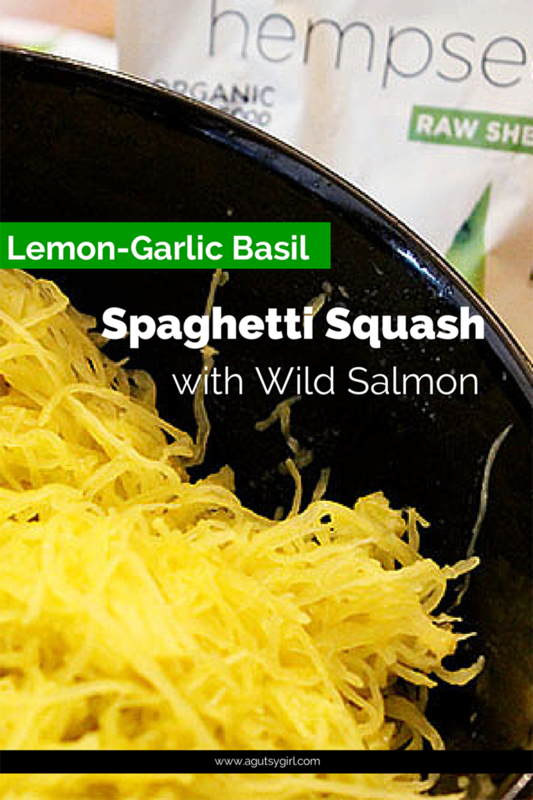 Bake spaghetti squash for about 40 minutes. Meanwhile, place the juice of 2 small lemons, minced garlic clove, basil leaves and 4 tbsp. 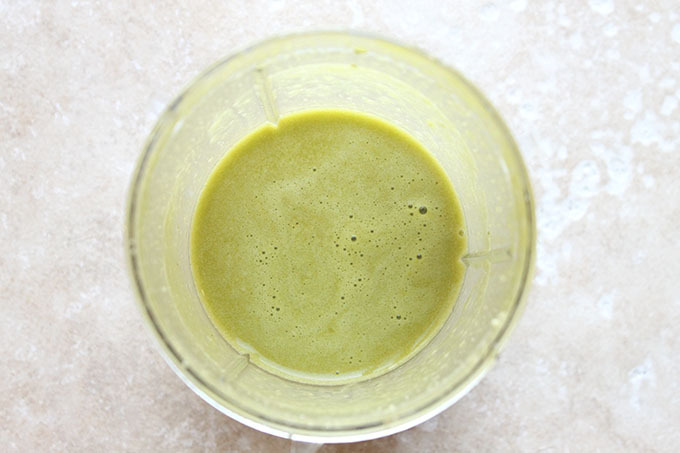 hemp oil in a small blender and blend. Set aside. 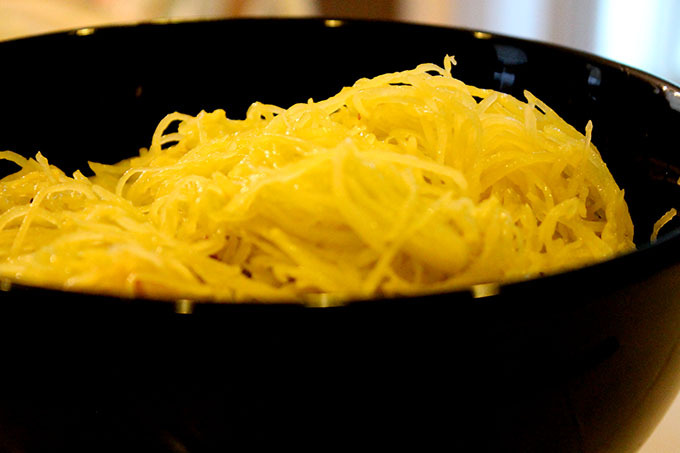 Remove spaghetti squash from oven and let it cool. Once cooled, scrape out with a fork into a large bowl. Add the mixture from blender and mix together. Add sea salt, capers and hemp seed as desired. 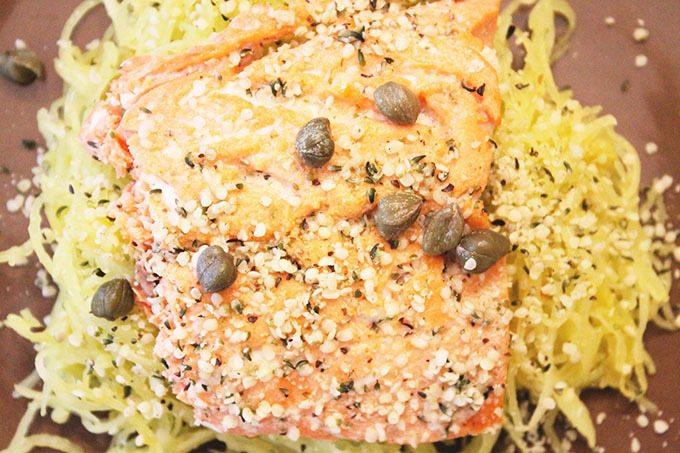 Place your wild salmon over the bed of spaghetti squash and serve. I always broil my wild salmon in the same way: broiled on low for about 8 minutes (for 1-2 small pieces). It's simple, quick and effective.